Mixing a bit of pleasure with business. I had reason to be in this building but, on spotting an open door, I sneaked out to take a few crafty pictures. Could not resist it. Mary Poppins view, Milson Street to the right, looking South. 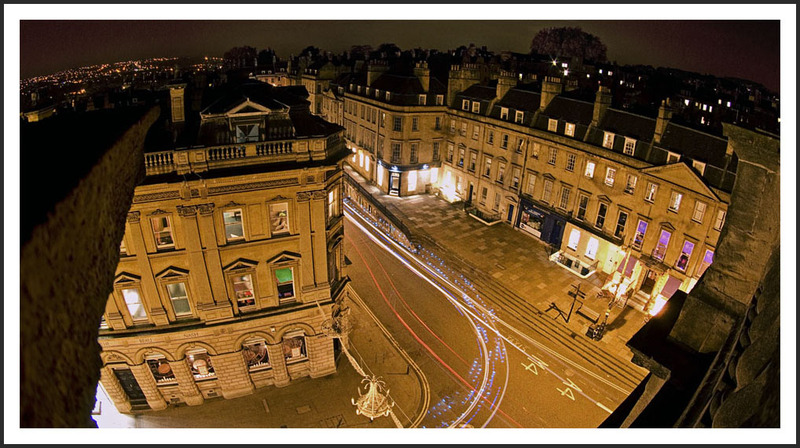 Junction of George and Milsom Street.